Palo Alto University’s Department of Psychology is currently seeking applicants for three full-time visiting faculty positions for the 2019-20 academic year. These positions are in the Department of Psychology which includes Ph.D., Psy.D., M.S, and undergraduate degree programs. These 9-month positions begin 9/2019 and end 6/2020. We are seeking candidates with expertise in clinical psychology to teach courses and advise students. We are specifically looking for expertise in the areas of assessment, neuropsychology, child/adolescent psychology, cultural diversity, and research methods and statistics. ● Ph.D. or Psy.D. degree from an APA accredited, clinical, counseling, or school psychology program. ● Completed an APA accredited internship. ● Prior teaching experience in psychology at the undergraduate and/or graduate level is strongly preferred. Salary is dependent upon individual qualifications and experience. Full benefits offered including medical, dental, vision, life insurance, critical illness, accident, and 403(b). Palo Alto University is an equal opportunity/affirmative action employer. It is the policy of Palo Alto University to provide equal opportunity to all employees and applicants for employment in accordance with all applicable federal, state, and local laws. We are particularly interested in receiving applications from qualified individuals of all backgrounds, experiences, abilities and perspectives who will assist the university in demonstrating its core values of cultural competency and diversity. The PAU Department of Psychology consists of two APA-accredited doctoral programs (a PhD program and the PGSP-Stanford PsyD Consortium), an undergraduate completion program in Psychology offering majors in Psychology and Social Action and Business Psychology, and a master's program in Psychology with plans for expansion. The Ph.D. program includes three areas of intensive training: classroom instruction, clinical practice, and research. It has seven areas of emphasis: Child and Family, Diversity and Community Mental Health (DCMH), Forensic, LGBTQ, Mindfulness and Meditation, Neuropsychology, and Trauma. PAU operates an in-house community clinic, the Gronowski Center, and advanced students are placed at off-site practicum placements around the Bay Area, including VA Medical Centers, community clinics, and schools. 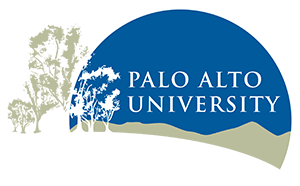 Palo Alto University (PAU) is a private, nonprofit educational institution, accredited by the Western Association of Schools and Colleges. PAU is dedicated to education with an emphasis in the behavioral and social sciences; to promoting future innovators and leaders for the benefit of society; to generating knowledge through research and scholarship of the highest level; and to providing services to the community informed by science and scholarship. As an institution, PAU highly values and supports education and programming related to diversity, and recently was selected for the 2017 American Psychological Association Suinn Minority Achievement Award for excellence in the recruitment, retention and graduation of ethnic minority students. See diversity.paloaltou.edu for details about PAU diversity resources, culture, and programming. PAU’s student body is diverse, engaging, and highly invested in their education and in improving the lives of others. Applicants should electronically submit: 1) Cover letter stating interests and fit; 2) Curriculum Vitae; 3) Three names and emails for recommenders; 4) Statement of teaching and mentoring philosophy; 5) Sample teaching and/or supervisory evaluations. Review of applications will begin immediately and continue until the positions are filled. Materials should be submitted to Carlie Belmodis (cbelmodis@paloaltou.edu). Questions should be directed to Dr. Nancy Haug at (nhaug@paloaltou.edu), Associate Chair, Department of Psychology.